What I loved most about Tom Hayden was his faith that the politics of division could be overcome. Tom Hayden and I spoke and corresponded a good deal during the last year of his life about the 2016 presidential race. The great radical thinker and doer, who has died too young at age 76, understood the dynamics of a race that has seen wounds he sought to heal not just reopened but rubbed raw. Yet his experience as a civil-rights activist, voting-rights activist, antiwar activist, anti-corporate activist, environmental activist, and political leader (state assemblyman, state senator, gubernatorial candidate, US Senate candidate) told him that those moments do not come by chance. They are forged in the crucibles of campaigns and movements. And they demand an honest assessment of dishonest politicians and disconcerting times. Hayden knew enough to be unsettled by what the 2016 campaign was exposing about America’s ongoing capacity for political cruelty. Yet, he was not simplistic or resigned in his response to that cruelty. Raised in a Detroit-area Catholic church that was led by Father Charles Coughlin, a nationally-known “radio priest” whose preaching anticipated the crudest populism of the current moment, his first rebellions were against those who would use economic instability do divide workers along lines of religion and ethnicity. 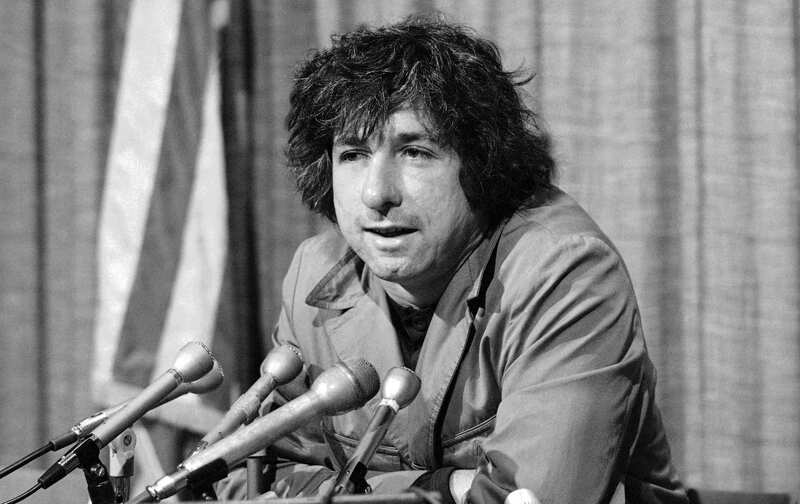 What I loved most about Tom Hayden, and I loved a lot about him, was his faith that the politics of division could be overcome, that coalitions could be bigger and bolder, more inclusive and more powerful. When we went together into the streets of Seattle in 1999 for those great protests against corporate-defined globalization, Tom was joyous at the sight of “Teamsters and Turtles”—blue-collar trade unionists and environmentalists—marching together. Like our great comrade Tim Carpenter, the late national director of Progressive Democrats of America who celebrated Tom’s intersectional politics as visionary, Hayden believed that the most effective organizing involved a search for shared experience and the solidarity that extends from it. To that end, Hayden wrote his most inspired book: Irish on the Inside: The Search for the Soul of Irish America (Verso). A memoir and manifesto published in the fall of 2001, it explored the “colonization of the mind” that causes peoples to abandon their own true history to gain acceptance by the elites they once battled. Irish on the Inside argued for a re-identification of “white” Americans with the liberation struggles of immigrants, people of color and other victims of discrimination. Hayden did this by returning to his roots—in Ireland and in rural Wisconsin—where he unearthed the seeds of his radicalism. Hayden mixed a history of the Irish experience with inspired reflections on the specific experience of his ancestors, such as Peter Hayden, who died with United Irish insurgents from County Wicklow in a 1798 uprising, and immigrant Emmet Owen Garity, who settled in Wisconsin and made his farm a stop on the Underground Railroad that transported slaves to freedom. The dark machinations of British colonialists caused the Irish Famine of the 1840s and dislocated millions of Irish like Emmet Garity to a young United States where they experienced new forms of impoverishment and derision. Hayden argued that a recollection of the experience of those immigrants—who were portrayed as wild, criminal, and intellectually deficient, and who encountered “No Irish Need Apply” signs well into the 20th century—ought to make Irish-Americans sympathetic to the plight of new immigrants, of the descendants of slaves, of gays and lesbians and others who continue to suffer discrimination. Drawing from his own experience, Hayden recalled how, upon visiting Northern Ireland in 1968, he was profoundly moved to hear Irish-Catholic civil-rights marchers singing the songs of the African-American freedom struggle. It was then, explained Hayden, that he began to overcome the suppression of his own Irish heritage by parents who were determined to fit themselves and their son into the white, middle-class models of mid-20th-century America. “I saw marchers in Northern Ireland singing ‘We Shall Overcome’ and, in an epiphany, discovered I was Irish on the inside,” he wrote. In my dream I am taking a handful of soil from Emmet Garity’s grave in Sullivan Township, Wisconsin, and my Nannie’s grave in Oconomowoc, and my parents’ graves too and I am packing up that soil of the dead to be taken back to Ireland.… In this dream Irish from all over are migrating home. They come in ones and twos and in groups. When they arrive, they leave their sod and stone in a field, which in time becomes a field of flowers, a graveyard, an oak grove, a mountain, a place to bury pain and grow our history until memory surpasses forgetting and the sod of the dead becomes the fertile soil of awakenings.